Photo courtesy of M on the Bund. All rights reserved. Shanghai is the commercial capital of China. Positioned strategically in central coastal China, the city's port is one of the busiest in the world. Its short history means that there aren't as many cultural sights to see, compared to Beijing or even nearby Hangzhou. However, there is plenty to do and see in Shanghai. Spend a week ducking down Shanghai's laneways full of trendy shops and restaurants, or a few days kicking back and taking it all in. However long you spend in Shanghai, your days will be full. Shanghai sits on the Huang Pu River that feeds into the Yangtze in the central-eastern part of China. A coastal city on the Yangtze River Delta, Shanghai is mostly flat and low. Jiangsu and Zhejiang provinces border Shanghai to the west and the East China Sea and the Hangzhou Bay border it to the west and south. Shanghai literally means "on the sea" in Chinese. While China may have a 5,000+-year-old history, Shanghai's is very short. Read a brief History of Shanghai to understand its dynamic, if short, past. View Shanghai from the Puxi side, on the Bund, and you'll see a vision of Shanghai's future including the Jin Mao Tower, currently the tallest building in Shanghai, and the Oriental Pearl Tower. 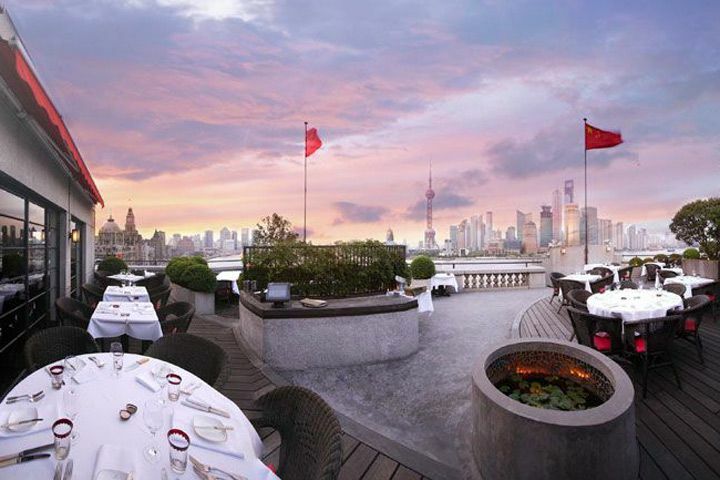 Look at Puxi from Pudong, and you're looking into Shanghai's past: the grand edifices on the Bund in what was the International Concession stand guard over the city sprawl to the west. Shanghai is China's second-most-populous city after Chongqing, farther up on the Yangtze. Currently estimated at 17 million, Shanghai's population fluctuates with several million migrant laborers seeking employment in the city. Shanghai is a gateway into China with many international flights arriving and departing every day. It is also relatively easy to get around. Read more about Getting To and Getting Around Shanghai. Weather: Shanghai's climate is Central China climate. Winters in central China feel colder than they look on the thermometer. The moisture in the air makes you feel the cold right to the bone. However, you will seldom see snow and temperatures may never reach freezing. Happily, winters are short, starting in January in earnest and usually finishing up by the end of March. Summers are long, hot and humid, lasting from April through September/October. It can rain at all times of the year but mid-summer (July) and autumn (late September through early November) are the driest. Recommended time for visit: 4-5 days. Best time of year to visit: Autumn is probably your best bet in Shanghai. Spring can be difficult with an occasional long winter or early wet season, although mid-April through mid-May are usually very nice. It is not yet terribly hot, flowers are blooming and the trees are starting to leaf out, so there's an air of freshness. However, autumn usually sees clearer skies, still-warm temperatures without the overbearing humidity. And, you're less likely to get rained on. Bring rain gear, you will probably see at least one wet day in Shanghai. If you're a history buff, find accommodation in the former French Concession area. You'll really enjoy taking some walks and seeing the old lane houses and villas that still stand in the area. Which Side of the River? Getting to Know Shanghai's Geography.